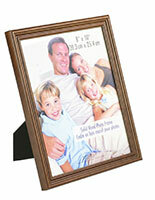 These 8 x 10 mahogany photo frames have an optional white mat that can be removed for holding 10 x 12 prints. 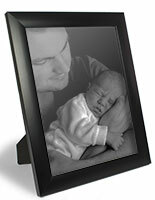 The picture holders have a wood fabrication and a glass lens that protects photographs from being wear and tear. 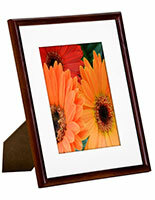 The mahogany photo frames feature (2) hooks for mounting to walls and an easel for placement on desktops. 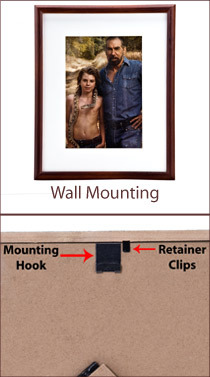 The wood displays feature an easy-change rear loading door with sliding clips that secure the backer into place. 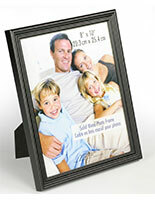 The photo frames for walls and tables have and affordable prices that makes them great gifts for family events like baby showers and weddings. 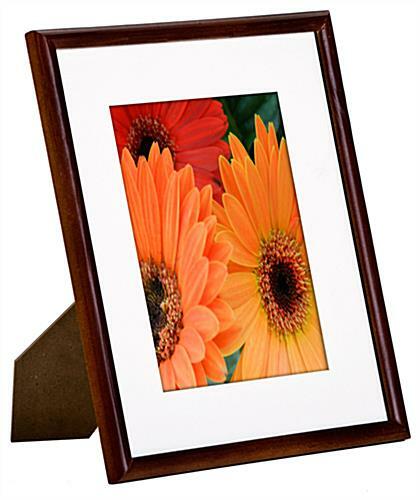 The brown picture holders with a white mat make any insert stand out while retaining a neutral finish for any environment. 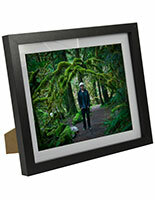 11.3" x 12.8" x 9.3"
11.3" x 13.3" x 0.875"
I ordered these pictures in bulk, 50 to be exact... and I not really happy with them. They were uneven in color. the color was supposed to be a mahogany and some where a light brown. Doesn't look uniformed at all. 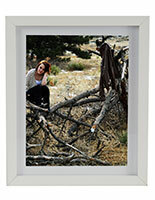 Plus some of the frames had scratches on them. I guess for the price that what I get but I still expected more..
We are sorry you're having some issues with your order Mimi, a customer care specialist will contact you shortly.